Guided By My Senses (László Attila - Horváth A. és Edwin B.). Tomorrow Is A World Out Of Sight (Lerch I. - Horváth A. és Edwin B.). 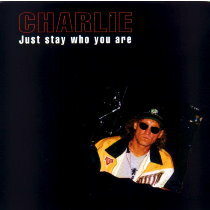 Just Stay Who You Are (Lerch I. - Horváth A. és Edwin B.). It’s been a long day. A dictated run. It used me for change, but has finally gone. Turn all the lights out. This darkness, so good. Let’s draw the curtains, close out the moon. Lay down beside me, don’t say a thing. You’ll spoil it if you ask what tomorrow might bring. too far away to worry about. but it finds the way to spirit the night away. Tomorrow is the cold, weary morning. Clothes scattered over the floor. from the night long before. A paper cup of coffee at the station. the morning flood sweeps you along. No time to tell a lie. Don’t ask me. I don’t care what tomorrow might bring. I am so tired. I need to sleep. I do not feel. My senses are beat. Got no eyes for light, got no ears for sound. The window’s closed. The curtain falls down. ’cause I don’t buy and got nothing to sell. All of the wires and cables I cut. You can say that it’s a major blackout. I moved away to another space. For all I care the world can turn a different way. Outside my door there’s a sign saying that I’m not in. There’s nothing to end here and there’s nothing to begin. There’s nobody home. Just a whisper inside. Listen, it’s saying, saying, saying goodnight. Don’t know how long it’s gonna last. ‘Twas a hard day. I need a rest. Until I call you, please let me be. Until the morning let me be nobody. if I stay here too long. So I’ve got to be on my way. You never cried, why would you start now. just a change, no need to talk about it. I’ll put the key in the place where you hid it before. This is the last time I will walk through the door. I’m getting out of the neighborhood. to taste the country nights. I’ll find a new delight. soon will be out of sight. to face the days to come. If I’d get any mail would you send it to me. I will leave you the number of my P.O.B. Hope someday I’ll be understood. The night’s getting cold. It leads me through the city. Sick of the silence, there’s nobody here I can talk to. I lean against the wall, it seems we need each other. A thousand girls and there’s always a lover around them. All right! It’s not their fault. I blew a fuse. All the sparks are gone. I need somebody somewhere to turn me on. All right! This is the scene. I know it well if you know what I mean. It’s nothing new. This down I’ve been before. Lifted by a tune I sway into the day. Someway I lose the traces of the places behind me. if I should stay alone I would take home the morning. All right! It’s nobody’s fault. I stay for a while, don’t mind the time. Just let it fly. Fine, fine, fine. It’s o.k. I’m feeling fine. I go with the flow, on with the show. Then I say good-bye. My luggage is too heavy. My heart is heavy, too. my cab comes in view. at the new sign on the door. ” BRENDA’S BED AND BREAKFAST. so I got to leave a note for you. Raise your eyes, look at the sky. flying gently through a silver cloud. has waited for me for a long, long time. I get home. But I’ll miss you tonight. I don’t know who’s right. I don’t care who’s wrong. is the place where I belong. The driver tells a story. I don’t hear. He don’t mind. but it’s so hard to say goodbye. but you know I don’t want to lie. Turn it on. You can’t turn it off. You can’t get out. You can’t get enough. Buckle up ’cause it is getting heavy. Are you ready? Ready, steady, go. The beat is goin’ on. Put the wheels in motion. A thrill when you feel the explosion. And you want it all. All right now. Here comes the sun. Hold the line. There’s whiskey in the jar. A blood red sky. You’re gonna be a star. And you get it all. The evening falls, the room is too tight. Something’s forcing me into the night. I don’t mind where, I just know I have to go. The devil’s poisoned my radio. Not a single song I used to know. I got a bluesy mood and I’m all alone. But I won’t call you, honey, even if I fall apart. to cool this burning ’round my heart. Rocks rollin’ in the booze. Two doubles, I could use. One to pleasure, one to friends. One shot to lose the count. one to wash the trouble down. the rocks rollin’ in the booze. The smoke is blending with the noise. A worn piano and a worn out voice. I’m a stranger at home in this loser’s bar. betraying that she wants to be mine. It won’t get through, ’cause I’m still not over you. Two doubles I could use. The river down below carries a boat. Gently she ripples in the morning breeze. There is only silence, everything’s so quiet. The world is a cloud, on my shoulder it sleeps. ’cause I’m full of jaded tunes. I see you coming down the road. Are you also breaking loose? I see you’re the runaway kind. or is it just a fantasy? I know you’re the runaway kind. Take a look around. Let’s see what we’ll find. Things to remember. Stories to tell. Turn a new direction, off this old dusty road. I have walked it too long. I know it too well. I always tried to do my best. Now I’m full of jaded tunes. if we both are breaking loose. I just opened my eyes, but I would like to close them again. The light cuts like a knife. There’s a pounding rhythm in my brain. I’m at war again, another Monday I have to beat. But not today. I just need some morning beers. I swear that our staircase is the longest and the darkest in town. I stumble to the mailbox. A letter’s falling to the ground. Where is it from? Oh no! It’s from someone I loved long ago. A thousand pictures of a world that I used to know. Lookin’ for some lovin’ on the ice. rooms in hotels for the lowest price. I felt the fire and desire in her eyes. The café on the seaside, the always empty station-house. The Thai Cook, always freezing, used to drink the grog with us. if he’s still listenin’ to that old time blues. And all the ones I used to love, I wonder where they cruise. A ticket for a journey, good for just a one-way ride. Just some circles ’round the sun without a clue, without a guide. There is no way back, no slowing down. Come let’s ride together for a while. It would be a pleasure if we could share a little time. Everything’s in motion, changing from the start till the end. Got a ticket for the show, I’ve got to see as much as I can. Try to find a seat for better a view. Maybe there’s an answer getting through. Even old illusions could be saying something new. to get to know just how it feels. sounds and pictures, smiles and tears. The start was long ago and still the end is far away. Somebody has told me there would be no time for delay. There is no way back. No slowing down. I don’t know if you need me, I need you and God knows why. The things look good, but hope’s out of sight. What I feel you can’t see on the monitor lines. The walls are white and so is the bed. For sure this sterile room will bore me to death. So many tubes, needles and pills. To even think about them gives me the chills. Something hurts, but it’s not where you treat me. Hey, sister, can’t you see where I’m aching? Let’s get over all this poisoning stuff. Nothing can cure me but your medicine love. It’s a long, long, lonely day. Hey, sister, what you say? Gimme, gimme, gimme what you got. Maybe today a friend’s stopping by. He could be sneaking in with a bottle of wine. and we can share it tonight to get in the mood. I will need extra care, so you must stick around. ‘Cause I am aching, ’cause I am breaking. Hey, sister, can you feel that I’m shaking? I got a fever. I got a fever, I got a fever…. Where are you going? Why do you run? still keeps it’s fragrance on you. Your beauty is growing in the arms of the morning. Before you go to control it, stay a while. as the dawn is slowly rolling down. the way you’ve been so far. You don’t need pearls and diamonds to be fine. I’ll be rich as long as you’ll be mine. Hold me tight. Ease your mind. We left so many nights behind. Don’t put it down. Just let it shine. Dress up in a smile. Your mirror is a liar. It cheats you now as it praised you in the night. The scene reappears from the days of old. A yellowed picture we ain’t seen far too long. are glowing through the harbor. An old boat setting sail. one day I’ll show you it’s still hasn’t changed. Don’t listen to the doctor. He’ll see that he was wrong. I know you’ll make it through, ‘cos you are strong. You’ll dance like you used to. They’ll ask who this beauty could be. As she smiles, a wonderful sight to see. (And) time is on our side. The saying was never more true. Tomorrow – believe me – won’t be blue. Whatever we’ve got, we always got by. There’s a way again. Let’s give it a try. Don’t take it too hard whatever they say. I’ll be your doctor and your maid. You’ll make it through. Don’t be afraid. And time is on our side.